How will my family manage financially when I die? It's a subject no one really wants to think about. But if someone depends on you financially, its one you cannot avoid. There are many types of life insurance, but for all of them the bottom line is the same: They pay cash to your family after you die, allowing loved ones to remain financially secure. This cash, known as the death benefit, replaces your income and can help your family meet many important financial needs like payment of Mortgage, daily living expenses and kids education funding. What’s more, there is no income tax on life insurance benefits. Besides taking care of your family, life insurance can also protect your business. What would happen to your business if you, one of your fellow owners or a key employee died tomorrow? 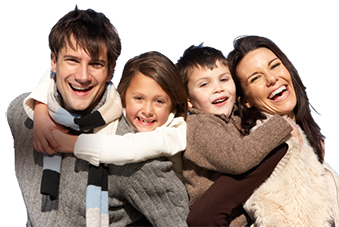 Life insurance can help in a number of ways. For instance, a life insurance policy can be structured. This would ensure that the remaining business owners have the funds to buy the company interests of a deceased owner at a previously agreed upon price. That way, the owners get the business and the family gets the money. To protect a business in case of the death of a key employee, key person insurance, payable to the company, provides the owners with the financial flexibility needed to either hire a replacement or work out an alternative arrangement. There are many kinds of life insurance, but they generally fall into four categories: term insurance, Endowment Insurance, Whole Life Insurance and Unit linked insurance. the most affordable type of insurance. It provides protection for a specific period of time (the “term”) and generally pays a benefit only if you die during that term. This type of insurance often makes sense when you have a need for coverage that will disappear at a specific point in time. For instance, you may decide that you only need coverage until your children graduate from college or a particular debt is paid off, such as your mortgage. An endowment policy is essentially a life insurance policy which, apart from covering the life of the insured, helps the policyholder save regularly over a specific period of time so that he/she is able to get a lump sum amount on the policy maturity in case he/she survives the policy term. This maturity amount can be used to meet various financial needs such as funding one's retirement, children's education and/or marriage or buying a house. A life insurance endowment policy pays the full sum assured to the beneficiaries if the insured dies during the policy term or to the policy holder on maturity of the policy if he/she survives the term. Unlike a pure insurance policy, gives investors both insurance and investment under a single integrated plan. ULIP provides investment options to invest in any number of qualified investments such as stocks, bonds or mutual funds. Policy holders have the option of selecting the type of funds (debt or equity) or a mix of both based on their investment need and appetite. Just the way it is for mutual funds, ULIP policy holders are also allotted units and each unit has a net asset value (NAV) that is declared on a daily basis. The NAV is the value based on which the net rate of returns on ULIPs are determined. The NAV varies from one ULIP to another based on market conditions and the fund’s performance. The Risk under ULIP is carried by policy holders. by contrast, provides lifelong protection. As long as you pay the premiums and no loans, withdrawals, or surrenders are taken, the full amount will be paid. Because it is designed to last a lifetime, whole life insurance accumulates cash value and is priced for you to keep it over a long period of time. It’s impossible to say which type of life insurance is better because the kind of coverage that’s right for you depends on your unique circumstances and financial goals. Buy Life Insurance because life Insurance can save family and you never know what's around the corner.